What we love most about Baxter of California Daily Face Wash is its ability to thoroughly cleanse the face without drying it out or stripping away the skin's natural moisture. Formulated to be gentle enough for daily use, this men's face wash 'lifts' dirt from the complexion and breaks down excess oil on the surface revealing a cleaner, brighter and more radiant finish. 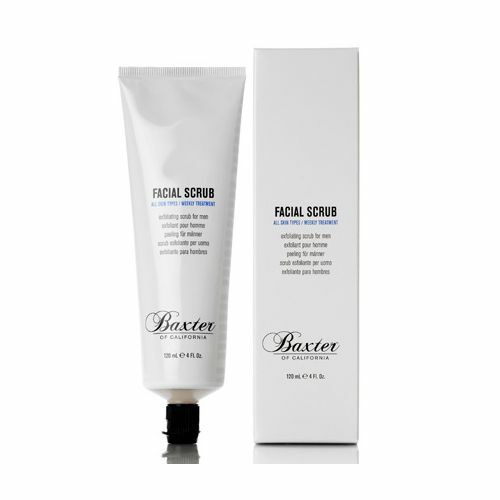 The skin is left mattified and benefits from a subtle moisturising film that Baxter of California Daily Face Wash leaves behind meaning the skin is completely protected from the risk of dehydration. Key ingredients: Aloe Vera Leaf Extract, Ginseng & Gylcerin. Using a pea-sized amount, massage your Daily Face Wash onto the skin using circular motions. Leave for 60 seconds then rinse. Leave it on the skin for 60 seconds before rinsing. This will allow the face wash extra time to catch more dirt and ultimately leave a better finish.